Continue reading for spoilers from the final episode of Big Brother 12. As a reminder, WeLoveBigBrother.com is in the backyard of the Big Brother house doing video interviews with each of the houseguests. Check back later for those! WeLoveBigBrother.com is in attendance at the Big Brother 12 finale in Studio City, CA. Immediately following the conclusion of the broadcast, we will do video interviews with each and every houseguest. Be sure to check back later here at WLBB or follow us on Twitter @wlbb for the latest scoop and videos. Britney won $25,000 from America’s Vote. Hayden won Big Brother 12 by a vote of 4-3. 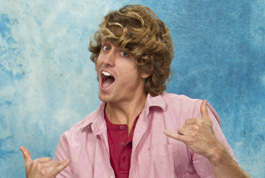 Hayden won the final Head of Household.